Piano Plus is a unique music studio in the Upper East Side of Manhattan. 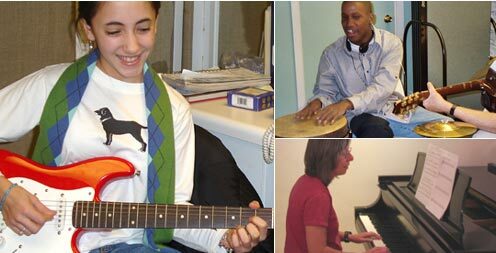 In addition to innovative musical instruction in piano and guitar for people of all ages and abilities, we offer individual and group music therapy for infants, children, adolescents, adults, and the elderly. Our goal is to share our joy of music, expertise and creative approach with people at every age and stage of life. Music can be inspiring and energizing as well as relaxing for people at every age and stage of life. Moreover, involvement with music improves cognitive functioning, promotes creative expression and enhances self-esteem. We match our approach to the interests, goals and learning style of each individual to provide an engaging, positive experience of musical expression and personal growth.